If you are a Ford fan looking to buy a new Ford car, head to any showroom of Al Tayer Motors and Premier Motors across the UAE to get the best deals of the year. 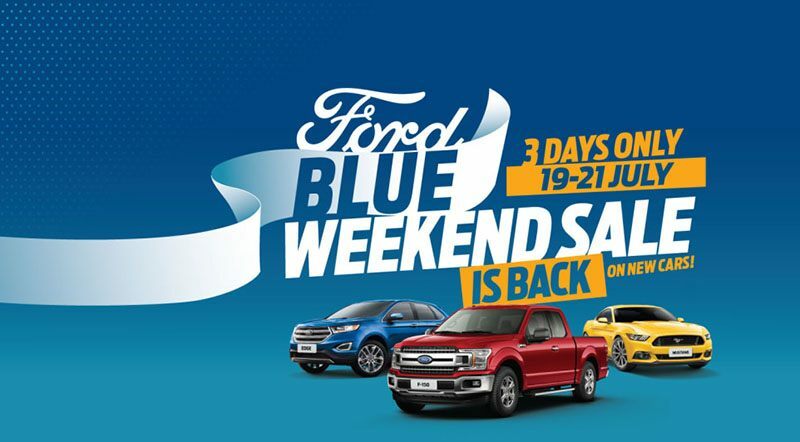 The Ford Blue Weekend Sale starts today and will last till 21st July. Ford is driven by innovation and this approach has made it one of the most successful brands in the world. In America, it won the 2017 Best Truck Brand award for its high performance, technology advanced trucks like Ford F-150. In sports car category, the Ford Mustang is unmatchable. In the midsize SUV segment, the Edge ranked no. 5 last year. When you need to buy a car, Ford is one brand that meets all the requirements of buyers.